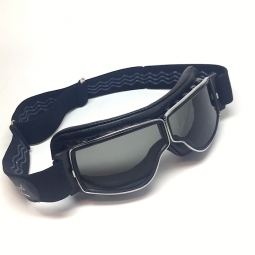 Flexible, ventilated plastic frame with chrome metal support. 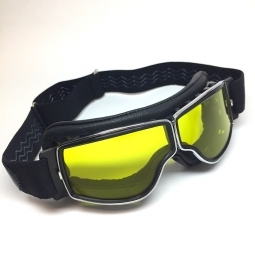 The T2 goggles has changeable polycarbonate lenses with 100%UV and a soft case is included. 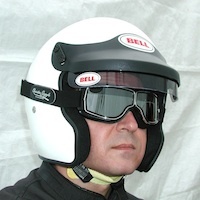 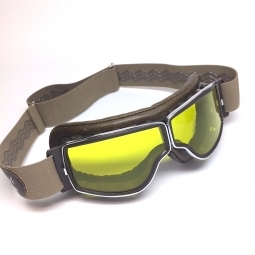 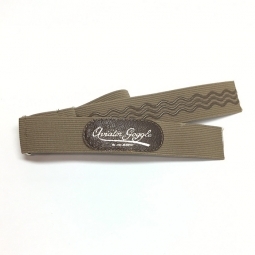 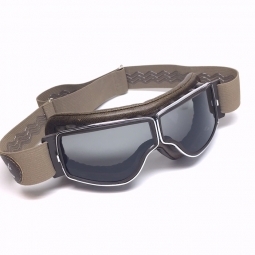 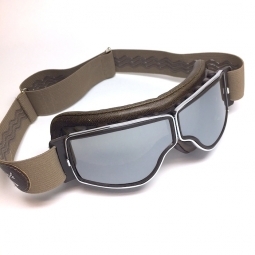 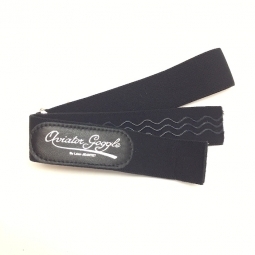 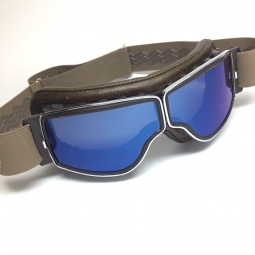 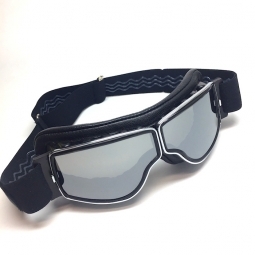 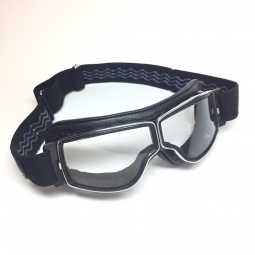 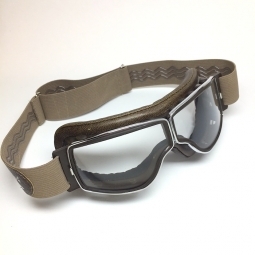 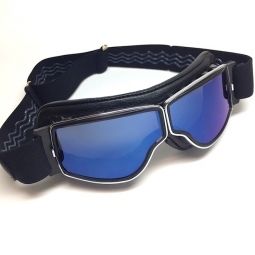 These leather padded goggles fit over presciption frames up to: height 1 5/8 , width 5.5".